I know what you're all thinking.... 'yawwwn, here she is, talking about Lush AGAIIIIN'. What can I say? I just adore Lush and everything about it. 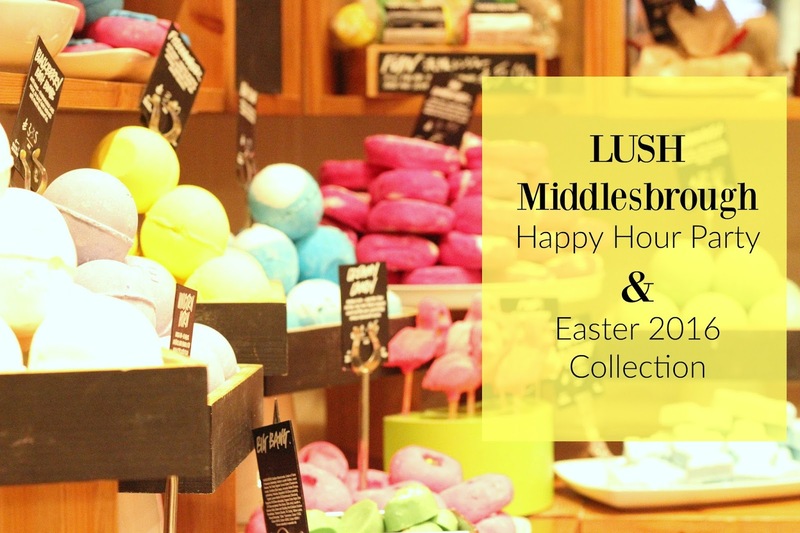 I was lucky enough to be invited along to a Happy Hour event for local bloggers last week, and we got to have a sneaky peak at their new Easter range. 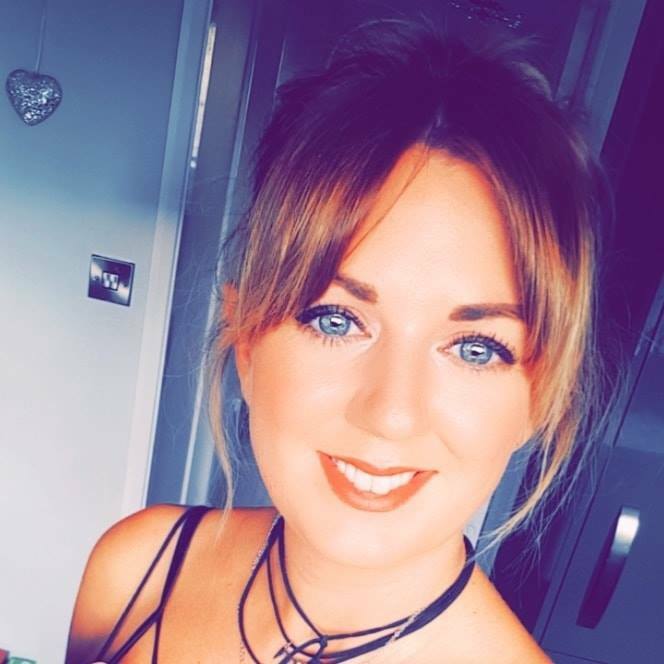 I thought I'd pop a post up showing some of the exciting new products and explaining all about their Happy Hour Party packages, as I didn't even know they existed! So as I've said above, Lush now do Happy Hour parties, which can be customised for the type of party you want (e.g. hen do, teen birthday, baby shower etc.). We had a toned down 'blogger' version but we did some pretty fun games (hello blindfold lipstick application). We even got to get our hands messy and create our own Creamy Candy bubble bars to take home, plus a goodie bag including a product from their Mother's Day range. The Happy Hour is the perfect party for larger groups looking for a unique private shopping experience outside of regular shop hours. 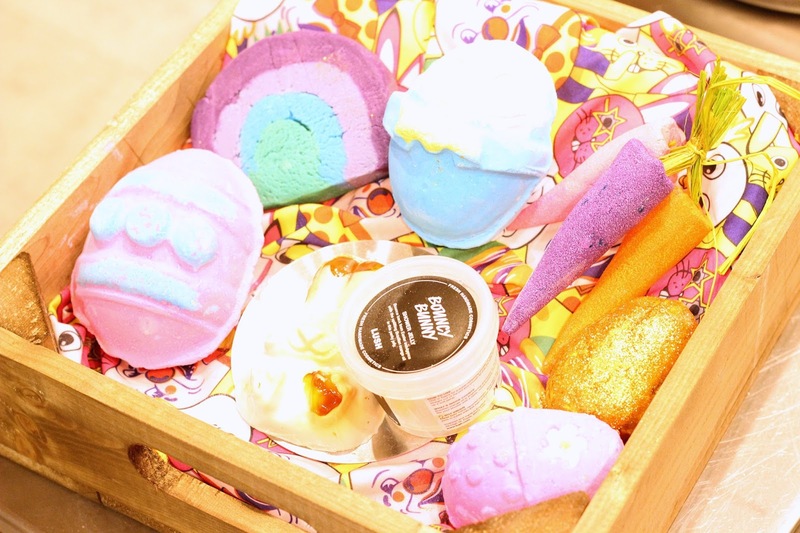 This party immerses you in the fantastic world of Lush, with interactive product experiences and personalised activities – which means you can decide whether you and your guests want to relax and be pampered or get your energy levels up with games and quizzes. This party option is the perfect VIP way to experience new product launches, for the opportunity to get hands-on with particular products, ranges and plenty more, as it allows a more flexible space for Lush fans to get together and have fun. I think these parties are such a fab idea and something completely different to any other party you could throw. I can imagine them getting pretty wild, especially a children's one, haha. It's good value too, if you think you get £5 to spend in store, so it's really only costing £10 for an hour of fun and games! 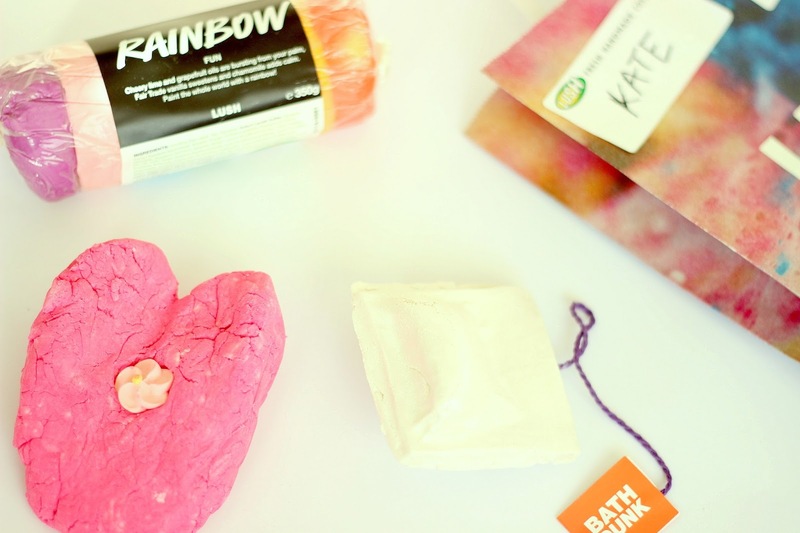 Who doesn't love a new Lush collection? 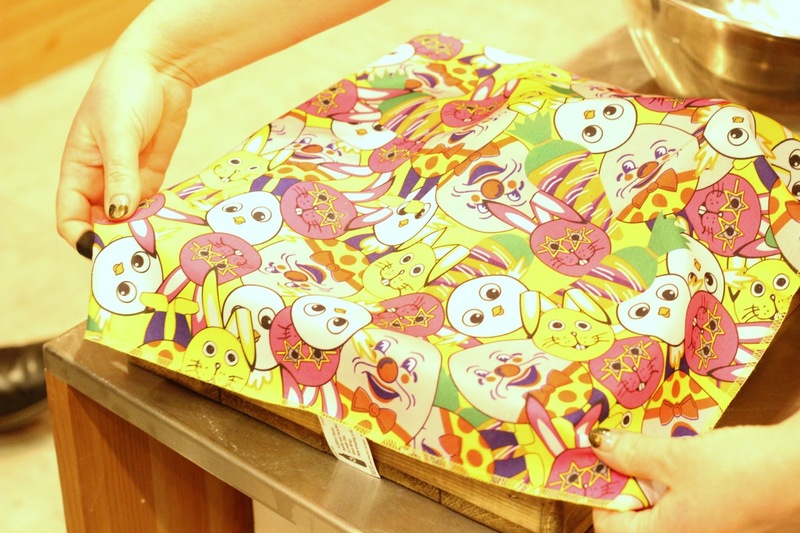 We were so excited to get a sneaky peak at the newest Easter products, plus how cute is that Easter Pals Knot Wrap? Ultraviolet Bubble Bar (£4.95) has returned again this year, which I'm super excited about. It was part of last year's Mother's Day range and it holds a special place in my lush loving heart. The overwhelming scent of Parma Violets and emotional memories of giving birth to Freddie last year. 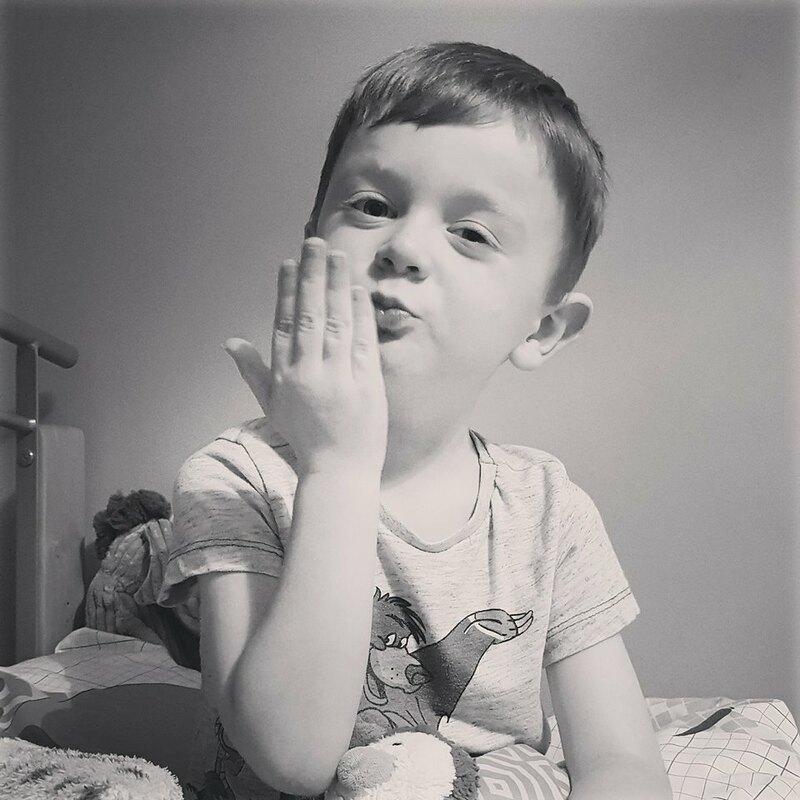 So special! Need to get me another one of these! 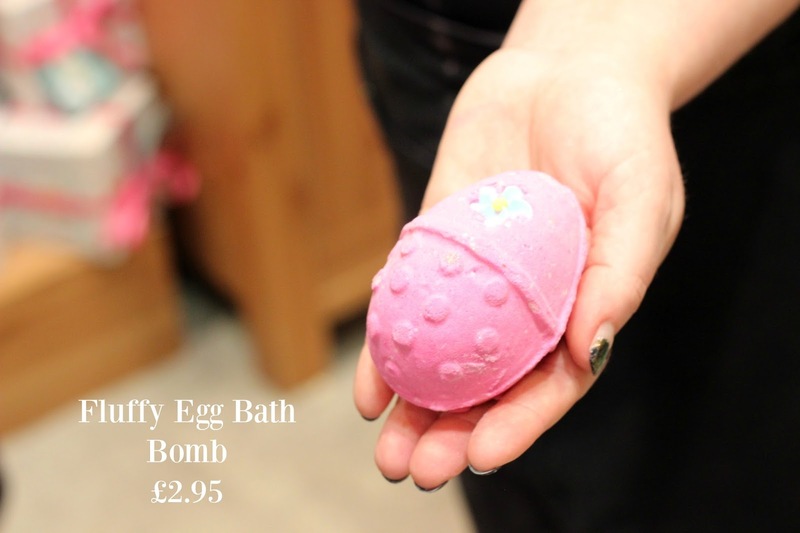 Fluffy Egg Bath Bomb - returning for the umpteenth time, the fluffy egg bath bomb always proves to be extremely popular, probably because it smells of Snow Fairy. I can see why they bring it back every year. I reckon there'd be hell on of they didn't! 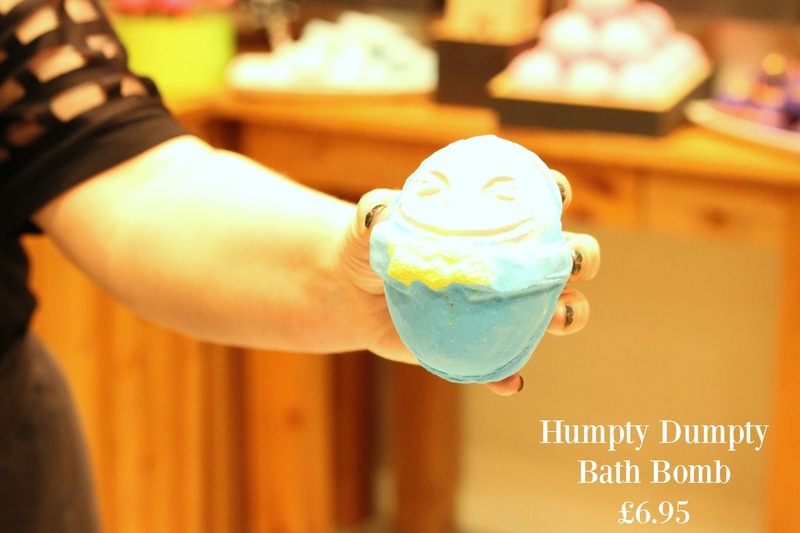 Humpty Dumpty Bath Bomb - new for 2016, this beast of a bath bomb can be placed whole into the water, or can be cracked to reveal a fried egg bath bomb insides, which, FYI, smells like the honey bee bath bomb. So cute! 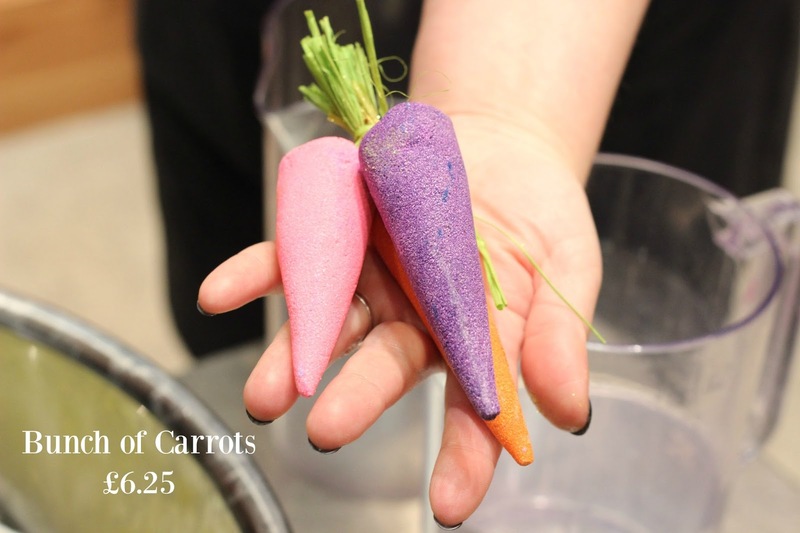 Bunch of Carrots - reusable bubble bars, these are back for the 3rd year, with the same scent but different colours. With a tropical fruit scent, the same as the Snowman Shower Jelly from the Christmas collection. 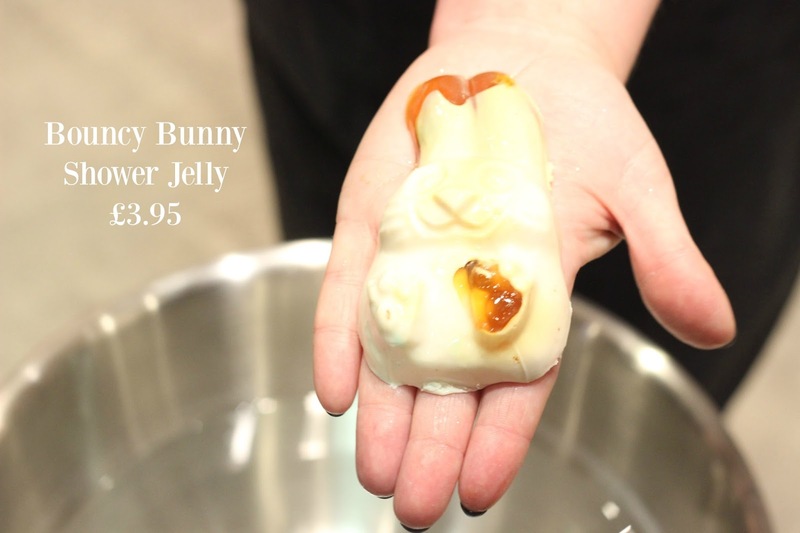 Bouncy Bunny Shower Jelly - how adorable is this little guy? Also new for 2016, it includes brazilian orange oil, giving off the most refreshing and uplifting orange scent. I've still never tried a shower jelly, so definitely gonna get my hands on one of these. 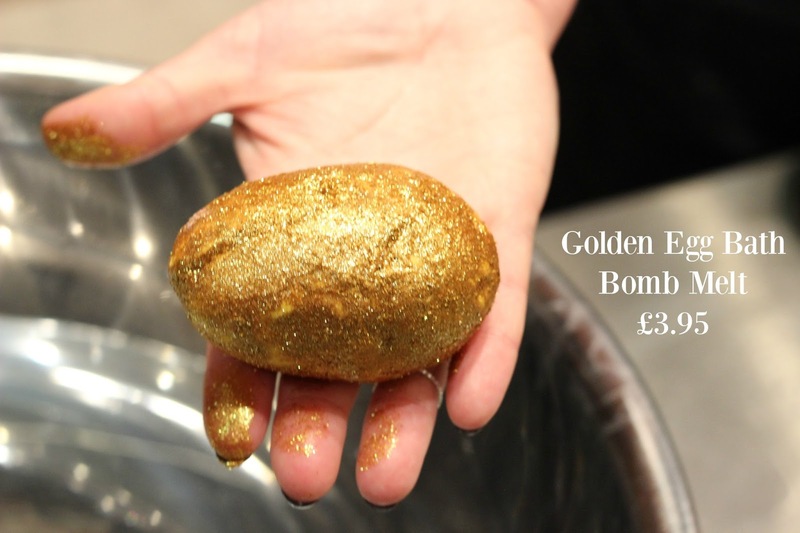 Golden Egg Bath Bomb Melt - Back again for it's 3rd year, this is always really popular. 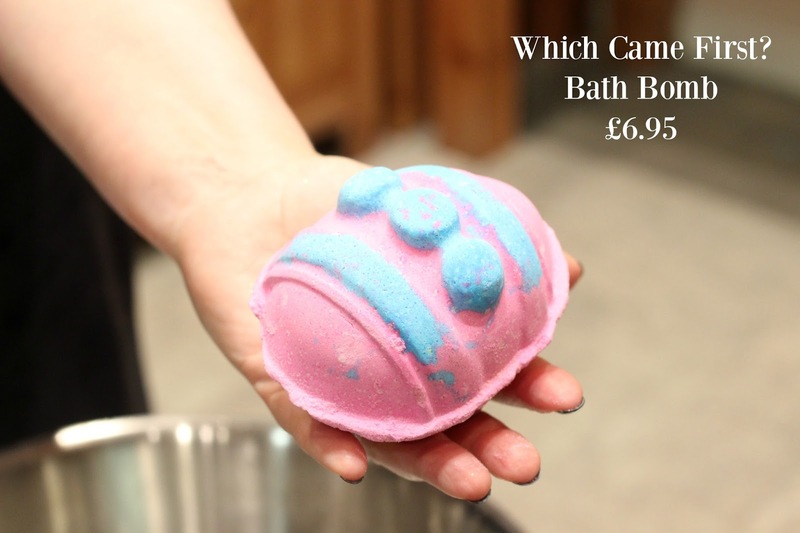 It's not just a bath bomb, it's a bath bomb melt, meaning it slowly melts down until it gets to a certain point and then fizzes for the final part. With scents of toffee and orange oil, it will make your skin softer than soft due to it's moisturising olive oils. Which Came First? Bath Bomb - been around for a few years (also available in yellow online only). Can be cracked to reveal a little chick inside. How cute? So there you have it! Such a gorgeous collection isn't it? I just want to say a massive thanks to Vicky and the girls from Lush Middlesbrough. They always make us feel so welcome and throw the best events! Did you know you can create short links with AdFly and get cash for every visitor to your shortened links.